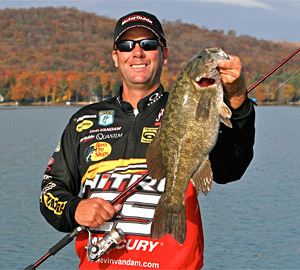 Kevin VanDam headlines the 2015 Ultimate Fishing Show seminar field. The largest pure fishing show in the Midwest is set to drop anchor in the middle of America's largest freshwater fishing market when the Ultimate Fishing Show–Detroit returns to Suburban Collection Showplace in Novi, January 8-11. This show offers something for anyone interested in fishing, from beginners to tournament pros of all skill levels including appearances by Kevin VanDam and Mark Zona! The Ultimate Fishing Show–Detroit is famous for its extensive seminar line-up presenting seminars every hour on five seminar stages including Lake Ultimate and the Hawg Trough. Every Michigan game fish species will be covered – FREE with show admission. Mark Zona appears Thursday only at the 2015 Ultimate Fishing Show with seminars and the Ultimate Fishing Tournament. Headlining this year's all-star seminar lineup are Michigan natives and national bass fishing personalities Kevin VanDam and Mark Zona. VanDam, four time Bassmaster Classic champion and seven time B.A.S.S. Angler Of The Year, will make a special appearance on Friday only. Zona, host of ZONA's Awesome Fishing Show and a regular on several ESPN Outdoors shows including co-hosting The Bassmaster Elite Series Show, will make a special appearance on Thursday only. 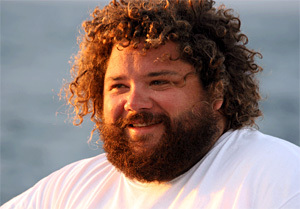 In addition to these two celebrities and new to the show this year is T.J. Ott from National Geographic's hit show Wicked Tuna, who will make special appearances on Friday and Saturday. T. J. Ott of National Geographics Wicked Tuna appears Friday and Saturday at the 2015 Ultimate Fishing Show. Some of the other highlights of the show include the Ultimate Bass Clinic, Step-up Mini Clinics, Fish Cleaning Demonstrations, a Virtual Jet Ski Simulator, a Virtual Fishing Simulator, Fly Casting Lessons, an Ice Fishing Extravaganza, Shanty Truckload Sale, Trout Pond, Shore Lunch Fish Fry and much more. "Hundreds of exhibitors are bringing the latest in Tackle, Gear, Fishing Boats and Accessories to town," says Show Manager Ben Nielsen. "Joining the many Retailers at the Ultimate Fishing Show–Detroit are Factory-Direct Exhibits staffed with Designers, Technicians and other Manufacturer Experts. Specialty Bait Vendors will have tackle available only at this show." Admission is free on Thursday for patrons who bring six cans/boxes or four pounds of non-perishable food items to donate to the annual Michigan Sportsmen Against Hunger food drive. The food will be collected by volunteers from local conservation organizations and donated to the Red Cross and area food banks. Admission is $10 for adults and $4 for children 6 to 14. There is no charge for children 5 and under. Parking is $5 for on-site parking. Show hours are 3pm to 9:30pm Thursday; 11am to 9:30pm Friday; 10am to 9pm Saturday; and 10am to 5pm Sunday. 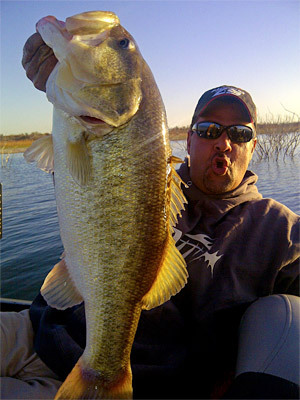 For more information, go to www.UltimateFishingShow.com or call 800-328-6550. You can also follow late-breaking news and developments on Facebook at ULTIMATESPORTSHOWTOUR.